Were You Injured in a Store or Place of Business in Queens? Store and business owners are responsible for providing patrons with safe and secure business establishments. When safety measures go overlooked, slip-and-fall and other types of injuries can occur. At The Orlow Firm, we provide experienced legal services to people who have been injured through the negligence of commercial property owners and store owners. Have you been injured in a slip-and-fall accident, been attacked due to negligent security or sustained any other type of injury in a Queens store? Call our lawyers today at (646) 647-3398 to schedule your free consultation. You can also submit a contact form and we will be in touch with you promptly. When you hire our firm, you will work with a named partner. We believe you should expect that of any law firm you hire. 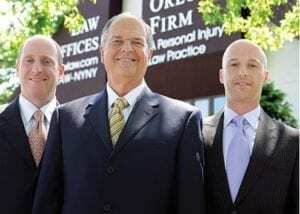 Our attorneys have substantial experience protecting the rights of the injured. We strive to hold property owners accountable for their negligent actions and seek full compensation on behalf of each injured client. Clients feel confident in our methods for handling slip-and-fall injuries and other types of injuries arising from poorly maintained businesses. If you or a loved one suffered an injury in a slip-and-fall accident or some other type of accident due to store negligence, our qualified and experienced Queens premises liability lawyers will offer a confidential and honest assessment of your case. Our cases are handled on a contingency basis, which means we do not charge for attorney fees unless we obtain money damages in your case. Contact our office online or call (646) 647-3398.